ANKARA (Reuters): The “complete lack of transparency” from Saudi officials on the investigation into the murder of journalist Jamal Khashoggi is deeply concerning and detrimental to their credibility, an aide to Turkish President Tayyip Erdogan said. Khashoggi, a royal insider who became a critic of Saudi Arabia’s Crown Prince Mohammed bin Salman and began writing for the Washington Post, was killed inside the Saudi consulate in Istanbul by a team of Saudi operatives on Oct. 2, provoking international revulsion and tarnishing the image of the prince. 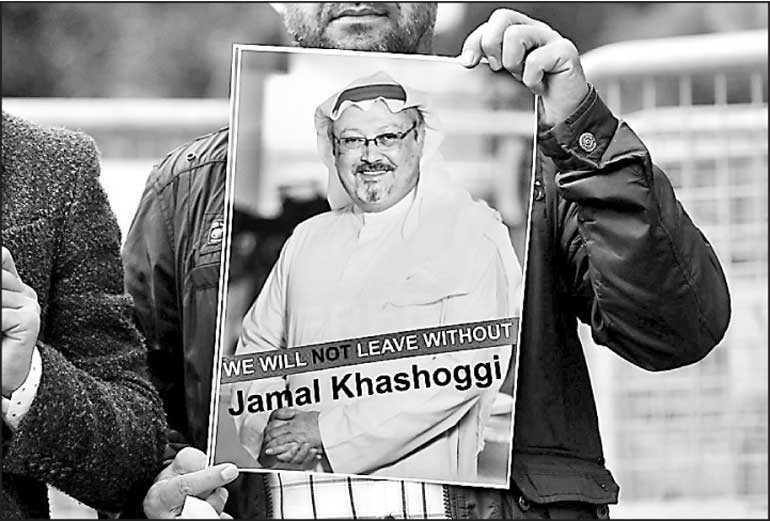 After making numerous contradictory statements about Khashoggi’s fate, Riyadh said he had been killed and his body dismembered when negotiations to persuade him to return to Saudi Arabia failed. Fahrettin Altun, Erdogan’s communications director, told Reuters that the series of “false denials” from Saudi officials had led to uncertainty on a host of issues around the case. “Over the past four months, the Saudi authorities have been less than forthcoming in their dealings with their Turkish counterparts and the international community,” Altun said in a written statement to Reuters. Saudi Arabia has previously denied Turkey’s extradition request for the 11 suspects, five of whom are facing the death penalty in Saudi Arabia.On Thursday, a United Nations-led inquiry into the murder said evidence pointed to a brutal crime “planned and perpetrated” by Saudi officials, adding that Saudi officials had “seriously undermined” and delayed Turkey’s investigation. Despite Turkey’s joint investigation with Saudi officials looking at the kingdom’s consulate in Istanbul, the consul’s residence and several other locations, the whereabouts of Khashoggi’s remains are still unknown. Erdogan has said Khashoggi’s killing was ordered by the highest level of Saudi leadership, but Riyadh has rejected accusations that the Crown Prince was involved. Altun said Turkey’s findings on the case were in line with those of the UN-led inquiry, adding that Ankara was committed to cooperating in a potential UN investigation into the case. “The world is watching. Turkey, along with all nations that believe in democracy and freedom, seeks justice and the truth,” he said.